We are born with the understanding that we are the center of the universe, and then we forget. We forget how essential it is to love and care for ourselves. We are brainwashed into thinking self-love comes from conceit, narcissism and an over inflated ego. But what if I told you that through self-love and self-care you will improve your relationships, achieve your goals more easily, and have a healthier body? Increase your self-confidence, self-esteem, and identify your Super Powers! It all begins with learning to love yourself. While with any journey there is inner healing, our focus is to awaken your light, your strengths, and your dreams. The learning will be experiential as you engage in exercises that heal, strengthen, and awaken aspects of yourself that you didn’t even know were there. And every step of the way you will be guided by women who are experts in their fields. Build and expand your tribe of powerful women. Because nobody succeeds alone. In the November 2016 issue of INC magazine we find an article by Jeff Hayden titled “10 Brutal Truths About Success No One Wants to Hear (Except People Who Hunger for Success).” This article is a great read with clear, simple, and to-the-point observations of the mindset and approach of successful people. I’d like to highlight two of the ten truths that Jeff talks about. When you arrive, you will be entering a sacred circle of women ready to connect, grow, and succeed together. A collective of women who know how important it is to invest in themselves, to help each other, and to become a movement of healing, support, and change in their world. This is a tremendous and unique opportunity to build that spiritual family for life success. Awaken to the next level of your personal development. There is no limit or end to the journey of personal development. There is always another ability to awaken, or a higher level of success to achieve. During the retreat you will be introduced to some amazing speakers, teachers, and coaches. These gifted, highly-educated, and experienced professional women are part of the community you are joining. They are available to you in all the Mindful and Powerful forums, as well as for private sessions at member prices. Not everyone learns at the same speed or has the same goals. This retreat is the tip of the iceberg of what is available to you; we are ready to accompany you on your personal development journey every step of the way. Martha is an author, international speaker, teacher, and coach who is on a mission to awaken the greatness in everyone she works with. Since her early twenties, Martha knew that her life would be a balancing act. Having been born psychic, she knew that much of her life would be dedicated to helping people via her gifts. She also knew that she needed to survive in a world that still had many stigmas and preconceived notions of what psychics were. She felt the need to meet her family and social expectations, and so embarked on a career that started with the hard sciences and then moved into corporate engineering, business process improvement, and change management. Combining her engineering mind with her psychic abilities, Martha quickly became a highly sought after, trusted advisor to top executives at Fortune 100 companies, including IBM, HP, Prudential, Cisco, and Symantec. 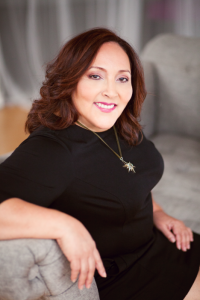 In 2012 Martha founded Next Step Transformation Consulting & Academy. Her company is dedicated to helping individuals and businesses navigate through difficult changes by equipping them with tools that help them succeed and thrive in even the most challenging of circumstances. Diana is an inspired guide, teacher, and writer who is intimately aware of how our old programming interferes with our ability to experience self-love and the fullness of life. As a child Diana had a profound sense of love as the essential cornerstone of life, and a deep connection to the spiritual realm. Diana’s journey led her through peaks and valleys, learning and transforming. Diana’s idealistic approach to life is based on her ability to see people as they intended to be, rather than what may be showing at a particular point in time. 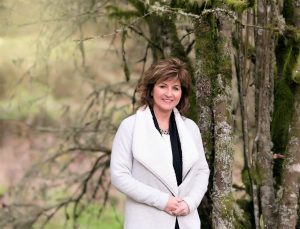 Through a series of events Diana was lead to a 25-year career in technology, with a focus on leadership in customer service and business development. Her roles within this industry focused on understanding the needs of her clients, employees, and employers, and bringing together solutions that satisfied each one. This translated well into her coaching practice as she connects people to concepts that support them in achieving goals and creating the life they choose. In 2015 Diana launched Intentional Living Solutions, LLC. Her coaching is devoted to helping her clients see their true potential, and teaching the techniques she uses every day to manifest a magnificent life. Alternative Energy Techniques Specialist including Louis Hay, Eden Energy Techniques, Merge, Swoosh and Mirror work. If you have been feeling that you and your life were meant to be so much more, then this retreat is for you. You may have already had some success, education, accomplishments… but it is still not enough; your aspirations, self-expectations, and dreams say there is something bigger in store for you. This retreat comes at the right time and place in your life if you have been experiencing glimpses of your abilities and this both scares and excites you. You want answers, but you want to hear them from people who have been there, experienced, researched, and taught; you want the source of your information to be mindful and powerful. This retreat is right for you if you have been feeling alone in your spiritual and life success journey. You have been wondering if there are other women like you out there. You have been searching for your tribe but don’t even know where to look. It is time for you to come into your full power and be met there by a wonderful group of like-minded women on a similar journey. From the moment you arrive, your journey begins. 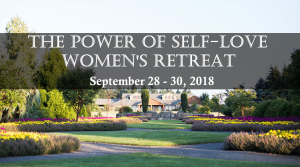 This retreat is being held at the Oregon Garden Resort & Spa. You can choose to schedule spa services ahead of time, or simply explore the 80-acre gardens. Your room reservation gives you free access to the gardens. Check-in is at 3:00 PM but our first event starts at 5:30 PM so you have time to relax, refresh, and prepare. We come together on Friday at 5:30 pm for a meet and greet. This eases you into getting to know other attendees, and the presenters. With a happy tummy and new friends, we jump right into our first workshop. Before we convene for the evening, you will have experienced several experiential exercises that start you on your journey to awakening to your greatness. There is still time for you to practice sharing your light with others at the retreat; starting to build your tribe of strong, compassionate, and amazing women. We end our evening at 8:30pm, with enough time to enjoy the services and grounds of our beautiful location. Saturday is an action-packed day of learning, connecting, self-care, and fun. We start with an early breakfast and then come together at 9:00 AM for our first session of the day. We go over our homework and arrange ourselves into small groups, so we can discuss our aspirations, inspirations, and “Aha” moments. Friday night was all about understanding “WHAT” Self-Love is. Today you are going to experience “HOW” to love and accept yourself and “WHY” self-love is so important. Diana and Martha have studied and been mentored by many of the great names in the field of human potential and self-improvement. Today we share with you concepts, tools, and techniques that we have learned from Gregg Braden, Bruce Lipton, Donna Eden, Joe Vitale, Bob Proctor, Louise Hay, Margaret Lynch, Nick Ortner, and many more. We have exercises that show you the power of self-love and connection to others through that love. You will experience multiple ways to start seeing yourself in a better light; including subconscious work for reprogramming old paradigms; exercises that apply the power and strength of love, forgiveness, and responsibility; using mindfulness, our five-senses and six mental faculties, and practicing energy modalities. Each fun-filled exercise provides you the opportunity to step onto the journey from self-loathing to self-love at any stage that you currently reside. If we can’t love and accept ourselves, how can we expect others to love and accept us? Our time together today is learning that through self-love we can reclaim our right to dream, to be inspired, to create a life that we love. After lunch, we switch gears from “HOW” to love yourself to “WHY” it is so important that you do. You begin this segment of the retreat with some forgiveness exercises. Releasing the baggage of the past will create space for you to define a lighter and happier self. We still have so much to cover on this day, so we take a self-care break and prepare for the next segment which is where we learn to own our super powers. Martha speaks to the source of super powers; how to recognize them and how to use them to help life flow. We end our Saturday together with a session on how to turn our space into a sacred space for our body, mind, and spirit. We learn how energy can become stagnant in a home or office, how situations and traumas can leave a signature in your environment that continues to affect you long after the event took place, and we learn how to clear it all out and create a space that is inviting, peaceful, creative, inspiring, and, most of all, nurturing. We will learn specific techniques and tools to use when you get back home. We end our Saturday with enough time for you to enjoy the beautiful surroundings of the Oregon Gardens. Sunday is our last day together, so we want to make the most of every moment. After breakfast, Diana speaks to the importance of having a tribe: surrounding yourself with the right people who love, accept, and support you in your journey. Then we move into a sharing circle, where each attendee is given time to share their experiences and learnings. This is an opportunity to build or expand your tribe. To this end, you will also learn about other resources and opportunities that are available to you to continue this journey even after you go back home. After lunch, we have our last segment together where we talk about next steps. Diana and Martha guide you through an exercise and guided meditation to help you see with clarity and detail what the next steps are in your personal development journey. You will leave with a defined and written main purpose statement that further validates and utilizes the strengths you have recognized during this retreat. Our time together has come to a close, but our learning and sharing will not. This retreat is life altering as it brings knowledge and people into your life that will be your spiritual family on this powerful journey you have embarked on. We hope you join us for this amazing retreat. We only have a limited number of seats available for this retreat, and registration is only open until September 1st to give us time to prepare and make this the most valuable retreat you have thus far attended.